A study that explores the traditional "seven deadly sins" to help youth and young adults walk with Christ more faithfully in their everyday lives. Sloth. Avarice. Vainglory. What do they mean, and what do these archaic words have to do with today's teens and young adults? This study of the ""seven deadly sins"" uses a classic motif of Christian discipleship to help us think deeply about our spiritual life in today's world. The Seven Deadly Sinsengages students in a process of spiritual formation, helping them to diagnose the sin in their life and develop new habits of thought and feeling. 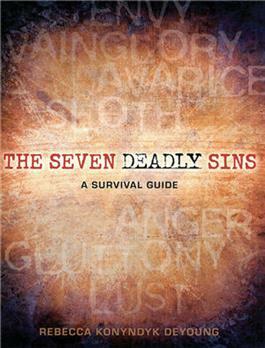 Designed for older high school students or young adults, The Seven Deadly Sins also makes a great study for adult small groups and retreats.